One day I found this cool knitting technique called entrelac and I decided to make a scarf using it. Sure, it’s only been over 10 years since last time I tried knitting, but how hard could it be? (famous last words ey? ;) ). Off to the store I went and returned with purple, green and beige yarn. Now, let awesomeness commence! Today’s progress! I reckon it’s a good thing I started this thing now. That way I’ve got a chance of finishing in time for next winter. 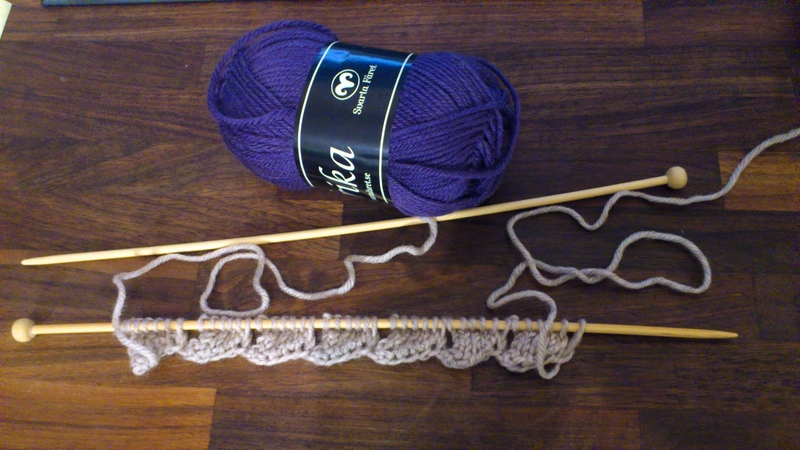 Categories: Work-in-progress | Tags: entrelac knitting, knitting, sewing | Permalink. You finished the first row of triangles Nice!